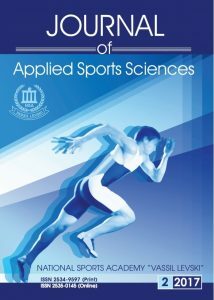 The Journal of Applied Sports Sciences is the international research journal of the National Sports Academy (NSA) of Sofia, Bulgaria. This is a new academic edition aimed at a broad representativeness of research publications from all over the world. The editors are unified around the ambitious aim to contribute to developing sport science, providing visibility of research results and an opportunity to deepen knowledge in sports. The Journal considers for publication original research papers, review articles, reports, discussion papers, editorial materials in the following thematic fields: physical education, high performance sport, sports medicine, sports physiology, biomechanics, sports pedagogy, sports psychology, physiotherapy, physical activity and health, fitness and nutrition, public health, sports management and sports training, applied health and medical sciences in sports practices, social problems of sport, European dimension in the organization of modern sport. Manuscripts with an interdisciplinary perspective and applications to sport are also within the scope of the Journal as enhancing communication across all disciplines of the sport sciences. Thank you for your participation and contributions to enhancing the level of sport science among scholars and practitioners in sports. Now you may send us your manuscript for for Vol.2 of 2018 of the Journal! The deadline is 10/10/2018! 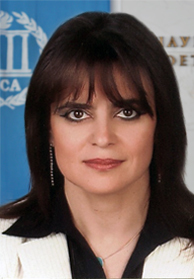 The journal of Applied Sports Sciences is an international scientific journal of the National Sports Academy (NSA) in Sofia, Bulgaria. The new academic edition aims at representing a wide range of scientific publications in the field of sports sciences from all over the world, providing visibility of the research results and an opportunity to deepen knowledge in the field of sport.